The Histochemical Society is pleased to sponsor or promote the following courses. Travel awards are available for all courses. 18th Annual Workshop on FLIM and FRET Microscopy and Imaging Protein-Protein Interactions. Registration is open for this event. For more information, click here. Travel award deadline for the FLIM and FRET Workshop is now CLOSED. Analytical and Quantitative Light Microscopy at Marine Biology Laboratory, Woods Hole, MA. 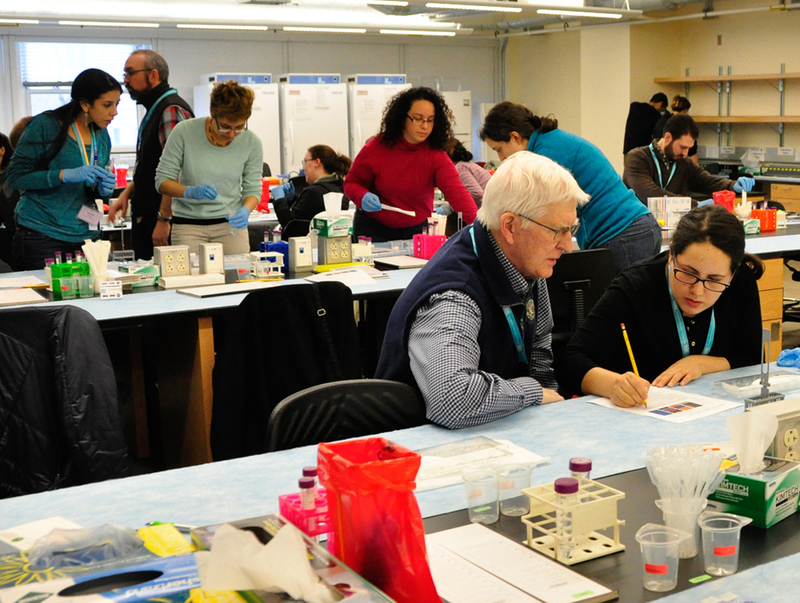 A comprehensive and intensive course in light microscopy for researchers in biology, medicine, and material sciences. This course provides a systematic and in-depth examination of the theory of image formation and application of video and digital methods for exploring subtle interactions between light and the specimen. This course emphasizes the quantitative issues that are critical to the proper interpretation of images obtained with modern wide-field and confocal microscopes. For more information click here. Optical Microscopy and Imaging in the Biomedical Sciences at Marine Biology Laboratory, Woods Hole, MA. This course is designed primarily for research scientists, postdoctoral trainees, core facility directors/staff and graduate students working in the biological sciences. Biologists and physicists alike seeking a comprehensive introduction to microscopy and digital imaging will benefit greatly from the course. This 9-day course is limited to 24 students to ensure a truly interactive, hands-on experience. It consists of interrelated lectures, laboratory exercises, demonstrations, and discussions that will enable the participants to obtain and interpret high quality microscope data, to understand and assess potential artifacts, to perform quantitative optical measurements, and to generate digital images for documentation and analysis that accurately present the data. 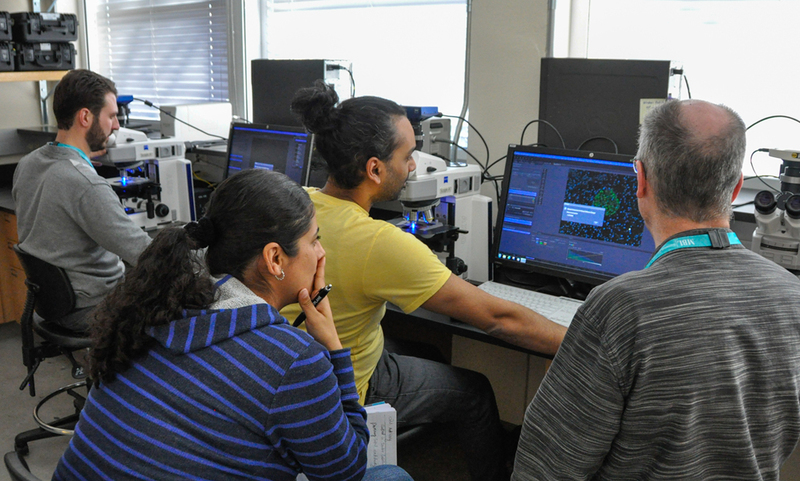 The course also places a strong emphasis on appropriate sample preparation, including choice of fluorescent probes and fluorescent proteins, and tissue clearing and refractive index matching. Particular emphasis will be placed on ‘picking the right tool for the job’. For more information click here. 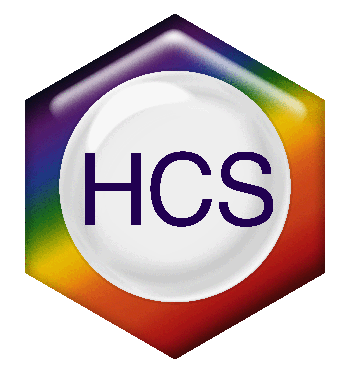 The IHCM Course is under construction! Check back in the new year for more information on the 2019 and 2020 course offerings.